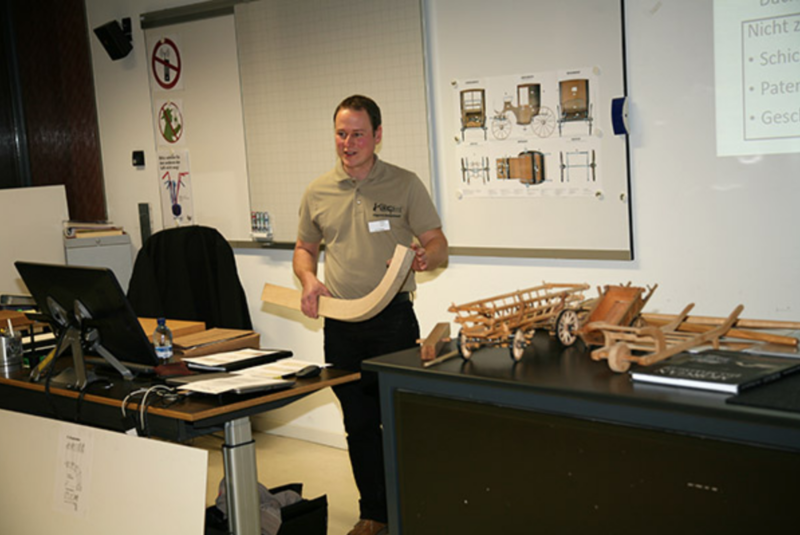 For the past several decades, many proven professionals in Switzerland having great expertise in vehicle restoration wanted to pass on their knowledge to interested and motivated young learners. Therefore, in 2009, the former Fédération Suisse des Vehicules Anciens (now the Swiss Historic Vehicle Federation, SHVF) initiated the idea of creating an specalist association and a new occupational profile called «Vehicle Restorer” in Switzerland. In 2011, the Interessengemeinschaft Fahrzeugrestauratoren Schweiz (IgFS) was founded as independent, professional association for restorers of historic vehicles and their suppliers. This unique network of both specialists and all-rounders now counts 71 members, who exchange their knowledge and expertise. The association sets their working standards in accordance to the FIVA Technical Code and the Turin Charter, so collectors and owners can be sure to have their vehicles professionally preserved, restored, repaired and maintained. In close cooperation with ASTRA, the road traffic authorities, and all relevant associations in the vehicle trade, IgFS pursues the active use of yesterday’s vehicles on tomorrow’s roads. At the same time, together with the professional associations in charge and the Berufsfachschule Baden, IgFS established courses for in-depth education. Contrary to other education models (for example, in the UK and Germany), this education has a state-recognized final exam (Berufsprüfung) and certificate, the Eidgenössischen Fachausweis as “vehicle restorer”. In November 2015, the first course in the field of mechanics / electrics was launched, and the course on bodywork followed shortly thereafter. Additional training courses concerning vehicle painting and upholstery / interior currently are in preparation. The first exams with 14 candidates were held in January 2018. The graduates now have received the sought-after professional title of "vehicle restorer” with Eidgenössischem Fachausweis (Swiss Federal Certificate)”. More graduates will follow in 2019 and 2020. All teaching materials and educational contents, together with numerous textbooks and historical documents about technology and repair of various vehicles are archived in a digital learning platform, readily available to our education program. The knowledge database is continually expanded, developed, and also complemented by educational material acquired with the financial help of our booster club. In just this past year, for example, we have been able to acquire a full size sectional car model from 1930, and a considerable professional library in the field of vehicle painting. 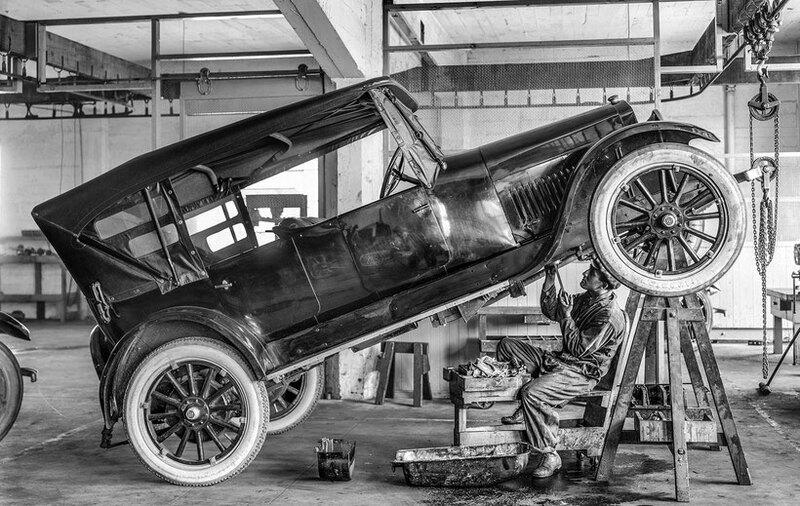 This material ensures that important professional expertise in the preservation, repair and restoration of historic vehicles is preserved in the long term and will not be lost. The vehicle restoration degree combines practical skills with in-depth theoretical knowledge and testifies the holder has all skills required for qualified professional work. Along the lines of the National Qualification Framework (NQR) in Switzerland and the European Qualification Framework, it complies with level 5 in international educational standards. This means, it is equivalent with the German master craftsmen certificate (Meisterprüfung), for example. The course fees comply with official courses in other crafts and they are supported by state funding in the same way. Our courses currently are translated and adapted for the french speaking part of Switzerland, where local educational partners prepare the training and exams. In a next phase, the italian speaking part of the country will be included, and it will be supplied with the necessary course materials and structures. The program is established permanently, and is supplemented by free periodic workshops organized for the members of IgFS, so continuous training is also provided for specialists already working in the trade.